The PVC window is one of the most popular options. It requires little upkeep and insulates well. However, since it is made from a petroleum derivative, its fabrication consumes non-renewable resources. These windows are common in both residential and commercial settings. 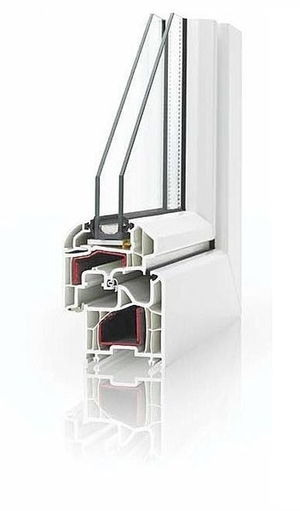 PVC frames contain as many as seven compartments, giving them thermal and acoustic insulating properties. They also contain metal reinforcements for added strength. Choice will depend on the window's thermal transfer rating, Uw (glass and frame). The lower the value, the better the insulation. The Uf rating is that of the frame, alone. The window should be watertight to prevent moisture entering the room.